When my parents told me that I had fulfilled my quota of pets, I knew I could sneak in one or two carnivorous plants. They are plants, after all. Carnivorous plants have interested me since grade school. After college, in New York, I started a carnivorous plant club, where members still meet monthly to share stories, tips and most importantly plants. In Florida, we have between 25 and 30 native species. Genera such as Drosera, Pinguicula, Sarracenia, Utricularia can be found here. Most are found in wetlands and bogs of North Florida and the panhandle. With over 650 species found globally, it’s easy to find one that will grow for you. For the past six years, I have cared for around 50-60 individual plants in Central Florida. Although I mention how to keep some on windowsills, I have had success keeping them outdoors year-round. If a nursery was going to sell a carnivorous plant, they usually sell Nepenthes, a large pitcher species from Asia. This article is going to focus on the other groups of carnivorous plants. Although they are smaller, they are equally unique and beautiful. Many of my plants have been purchased online or at plant shows around the state. Carnivorous plants are photosynthesizing plants that flower. The plants lure and capture prey, digest the prey and benefit from the nutrients. They obtain nutrients from the bugs and energy from the sun. 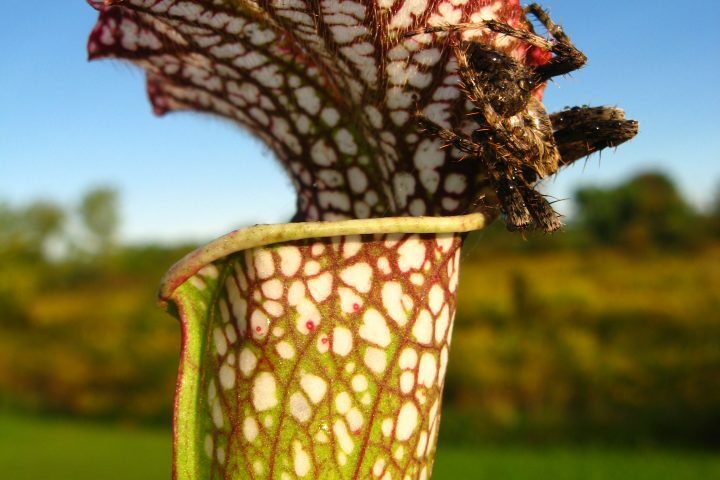 Three simple rules for caring for carnivorous plants are counterintuitive. 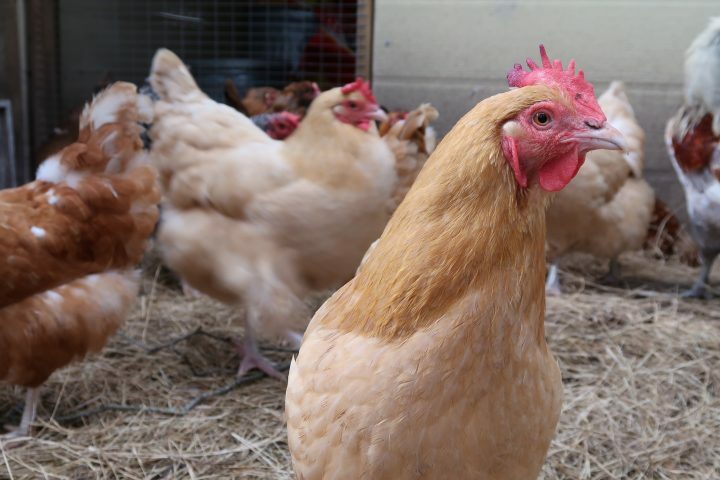 You’ll want to flood them, not fertilize nor feed them. When you waterlog these mostly bog-based plants you will want to use reverse osmosis, distilled, or rainwater. They do best without any fertilizers or chemicals, which includes the minerals from terracotta pots. And lastly, don’t set off their traps for fun and don’t force them to eat. Despite popular belief, they do eat on their own in the wild. There is no horticulturist out there in the bog with a toothpick and bits of insects feeding them. Venus Flytraps are the flagship species of carnivorous plants. 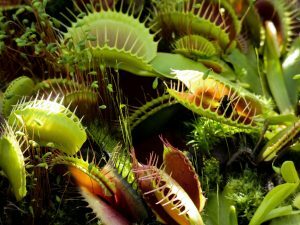 They first become popular around 250 years ago, when the governor of North Carolina identified and wrote about them calling them, “Flytrap Sensitive”. With 2-4 tiny trigger hairs on each lobe, these plants use electrical signals to catch their prey. Once the trigger hairs are touched twice within 20 seconds, the lobes close, catching their prey. After 4-10 days the food is digested and that particular trap is ready to passively hunt again. Today there are over 31 cultivars of flaytraps. Some are solid green, others are solid red. My favorite – the classic, original, green on the outside and pink on the inside. Water Have dish underneath container to keep soil damp or wet year-round, a low water table is preferred. 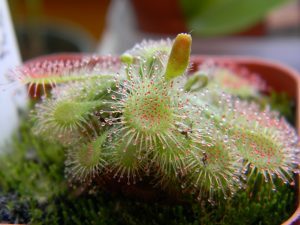 Sundews remind me of tiny octopi. Their trapping method involves fly-paper like traps, which slowly curl around the prey after the catch. There are nearly 200 species around the world. They are classified as rosetted, temperate, tuberous, woolly, forked leaf or pygmy. The cape sundew (D. capensis), comes in three cultivars, is from South Africa and is a great beginner sundew. 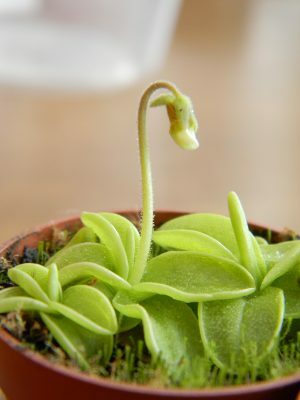 Butterworts are carnivorous, but many gardeners grow them for their flowers. They also have sticky leaves, which help catch some insects such as fruit flies, gnats, and houseflies. 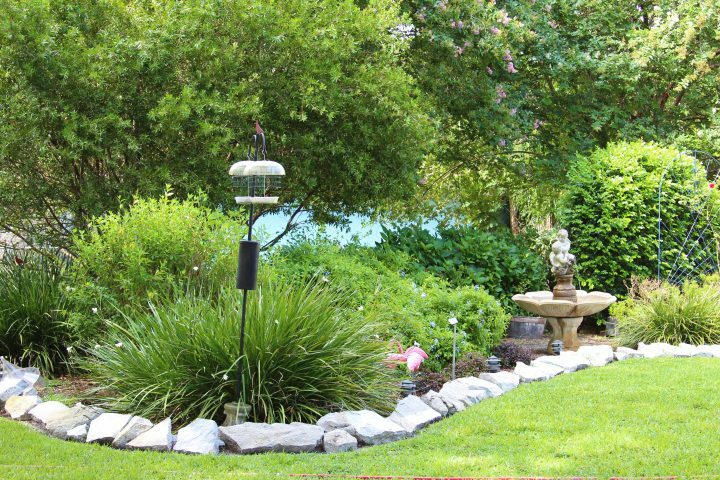 Water Have a dish underneath container to keep soil wet year-round. Leaves benefit from frequent overhead watering. 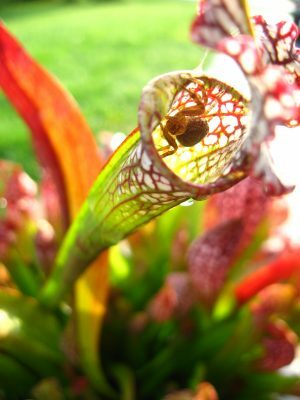 In 1576, the first North American pitcher plant (S. minor) was discovered in Florida. In 1887, 311 years later, it was identified as a plant that eats bugs! There are between 8 and 11 species of Sarracenia, with a lot of subspecies and hybrids – some naturally occurring. They are perennial and take five to eight years to reach maturity. Some grow to a few inches, while others can have pitchers that reach three feet tall. They flower in the spring, before their pitchers open up, as it wouldn’t have been advantageous to eat their pollinators. At the end of the fall, when the plants are slowing down and the pitchers are drying up, it is great fun to vertically slice the pitchers open to see the season’s catch. Water Have a dish underneath container to keep soil damp or wet year round. Climate All but 1 are warm temperate, S.purpurea ssp. purpurea requires cold temperate climate and can handle extended deep freeze. Dormancy All require 3-4 months of winter dormancy, with reduced temperatures and photoperiods. 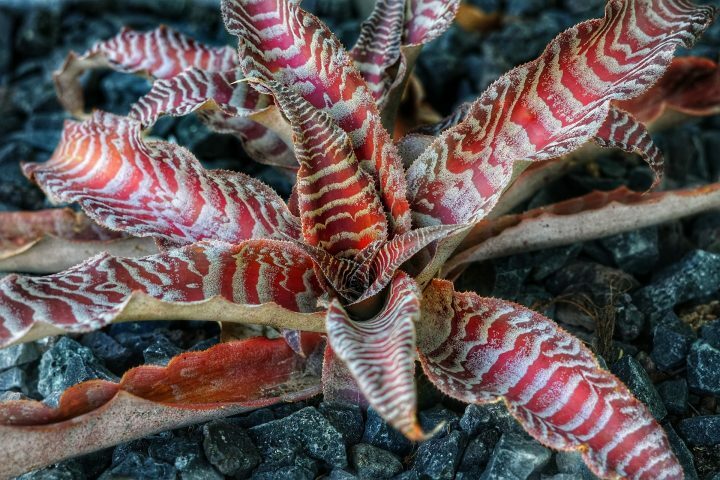 Inspired by carnivorous plants? Check out this artworkon my website. Originally published in Florida Gardening July/August 2017.